At a time when cloud TV is in the ascendant and the future of the set-top is questioned, and when competition among converged operators is driving down triple and quad-play prices, you have to hand it to Free, France’s self-styled trublion des telecoms, to show a willingness to swim against the tide. Free this week unveiled its long-awaited next-generation box, the Freebox Delta, alongside a lower-cost device, the Freebox One. Freebox’s next-generation device, which comes eight years after the launch of the game-changing Freebox Révolution, once again places consumer hardware front and centre of the service provider proposition. Big in all respects – the media player part of the dual-box solution reportedly weighs in at between five and six kilograms, and the dimensions of the triangular design are substantial – the Freebox Delta incorporates soundbar, network-attached storage, a dual-mode voice assistant, hybrid connectivity and 4K UHD HDR10 capability, among other things. The ‘box’ concept has long been core to French service providers’ marketing, much more so than in other European markets – something Free itself was in no small way responsible for – but the Freebox Delta arrives at a time when most telecom and pay TV players – including Free’s domestic French rivals – are moving away from pushing dedicated hardware and focusing more and more on TV as an app, on migration of delivery to a more flexible OTT TV-like platform and a bring-your-own-device strategy. Over the last couple of years the rise of the Android TV operator tier has revolutionised the economics of consumer hardware for service providers, with Google’s technology on course to achieve a sizeable market share with a standardised platform that allows operators to retain control of their user experience. Free itself embraced an earlier version of Android TV for the lower-cost alternative to the Freebox Révolution, the Freebox Mini, while Free boss Xavier Niel’s Swiss service provider Salt more recently turned to Apple TV as the box of choice for its launch of TV services. In France, pay TV leader Canal+ too has embraced Apple TV in what CEO Maxime Saada described as a “philosophical revolution”, enabling subscribers to choose the device as their principal set-top box, essentially accepting the status for its pay TV service of an app among other apps. In the US, Charter Communications followed suit with an agreement to offer the Apple TV 4K box as an option for subscribers. The Freebox Delta very much counters the trend towards box-less delivery, low-cost devices, standardised platforms and TV as an app. 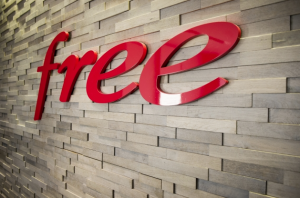 But Free is also swimming against the tide it set in motion towards intense competition among multi-play converged service providers, all offering bundles of TV, broadband and fixed and mobile telephony differentiated principally on price. This is a substantial tariff and represents a serious attempt by Free to increase its ARPU – although the offering includes a lot of content as well as functionality, not least a subscription to the basic version of Netflix and Canal+’s service provider offering, TV by Canal, as well as digital press offering LeKiosk. The launch of the Freebox Delta comes after a period when Free has seen its French business suffer. Niel trailed the launch of the new device as long ago as September 2017, when he highlighted the need for a replacement to the Révolution to combat aggressive competition from the likes of Bouygues Telecom for price-sensitive customers. The operator’s ability to draw in new subscribers, already slowing at that time, went into reverse this year, with the operator forced to adjust its profit guidelines after a troubled first half after it lost both fixed and mobile subscribers and saw revenues and profits slide. It now remains to be seen whether the Freebox Delta and the bundled value that it represents can reverse that decline.